Israel’s SpaceIL almost made history today as its Beresheet spacecraft came within an ace of landing on the surface of the Moon, but suffered a last-minute failure during descent. Israel missed out on the chance to be the fourth country to make a controlled lunar landing, but getting 99 percent of the way there is still an extraordinary achievement for private spaceflight. Beresheet (“Genesis”) launched in February as secondary payload aboard a SpaceX Falcon 9 rocket, and after a month and a half spiraling outward, entered lunar orbit a week ago. Today’s final maneuver was an engine burn meant to bring down its relative velocity to the Moon, then brake to a soft landing in the Mare Serenitatis, or Sea of Serenity. Everything was working fine up until the final moments, as is often the case in space. The craft, having made it perfectly to its intended point of descent, determined that all systems were ready and the landing process would go ahead as planned. They lost telemetry for a bit, and had to reset the craft to get the main engine back online… and then communication dropped while only a handful of kilometers from the surface. The “selfie” image above was taken from 22 km above the surface, just a few minutes before that. The spacecraft was announced as lost shortly afterwards. The project began as an attempt to claim the Google Lunar Xprize, announced more than a decade ago, but which proved too difficult for teams to attempt in the time frame specified. 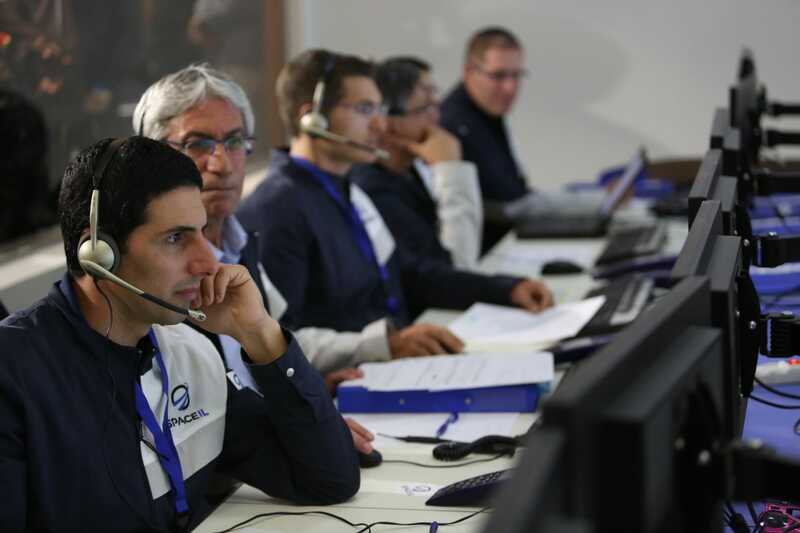 Although the challenge and its prize money lapsed, Israel’s SpaceIL team continued its work, bolstered by the support of Israel Aerospace Industries, the state-owned aviation concern there. It’s worth noting that although Beresheet did enjoy considerable government support in this way, it’s a far cry from any other large-scale government-run mission, and can safely be considered “private” for all intents and purposes. The ~50-person team and $200 million budget are laughably small compared to practically any serious mission, let alone a lunar landing. I spoke with Xprize’s founder and CEO, Peter Diamandis and Anousheh Ansari, respectively, just before the landing attempt. Both were extremely excited and made it clear that the mission was already considered a huge success. He’s not the only one. Ansari, who funded the famous spaceflight Xprize that bore her name, and who has herself visited space as one of the first tourist-astronauts above the International Space Station, felt a similar vibe. Ansari emphasized the feeling the landing evoked of moving forward as a people. Congratulations to the SpaceIL team for their achievement, and here’s hoping the next attempt makes it all the way down.